FLORAL ESSENCE is available in hardcover and softcover versions through Blurb. The 42 page book showcases the photographic art prints by Wayne Eastep on exhibit at the Flour Parlor in Sarasota, Florida. I hope you enjoy the exquisite design and lush beauty of these flowers. Thank you for your support. When you are in Sarasota come by and see the show and enjoy some very fine coffee and tasty desserts by Amy Nichols of the Flour Parlor. One of Sarasota’s finest boutique bakeries is exhibiting Flower Essence, a show of photographic art prints by photographer Wayne Eastep. Amazon Lily outside my Studio in Sarasota, FL this morning. Amazon Lily outside my Studio in Sarasota. I saw this blenny dart into a small hole in the coral head. Slowly I approached and sat my camera’s down on the ocean floor, slowed my breath and waited. Over the next forty minutes I mainly did nothing but watched and waited. 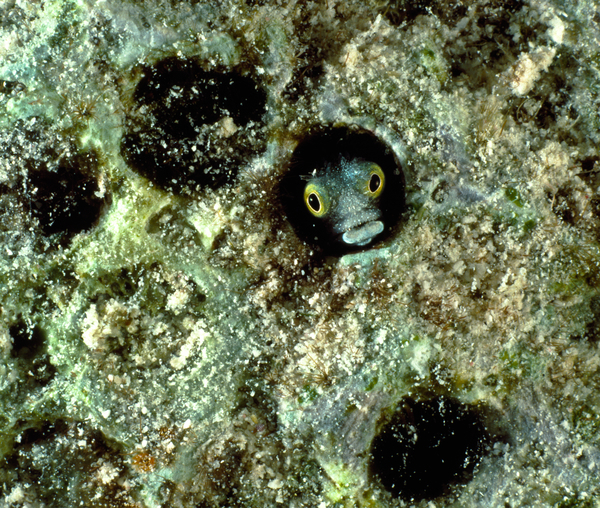 The blenny would peak it’s head out of the hole and dart back inside. I kept repeating the same idea over and over in my mind…” I don’t want to hurt you, you’re wonderful, I just want to make a picture”. The blenny started to stay out longer. Gently I picked up my camera waited for the blenny to come out and stay, when it did I made one exposure, the one you’re looking at. 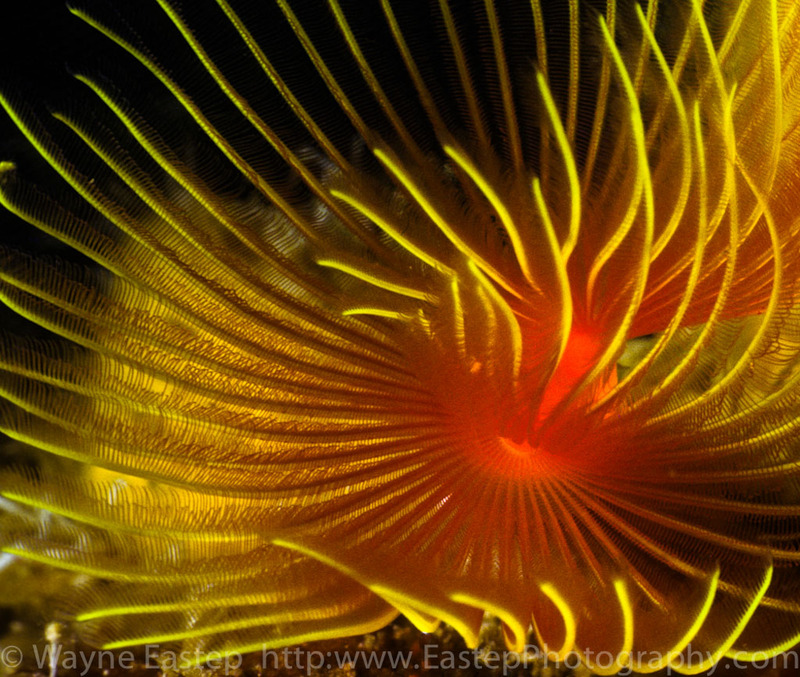 This image of a Tubeworm photographed in Saba is beautiful. Rather than saying more I’ll leave it at that. When I first saw pillar coral I was amazed by the sense that light was being emitted from within the undulating tentacles . Coral is one of those phenomenal life forms being both animal and plant. 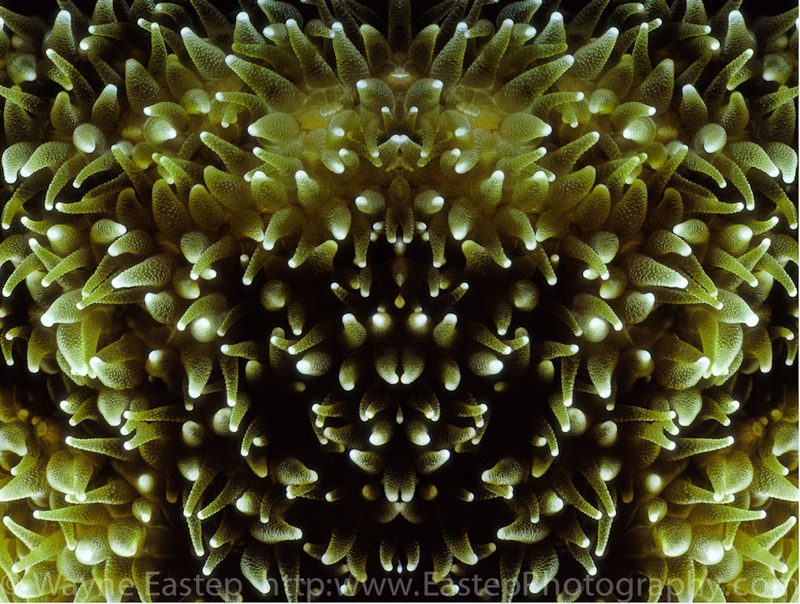 This image is another example of the beautiful design found in nature.